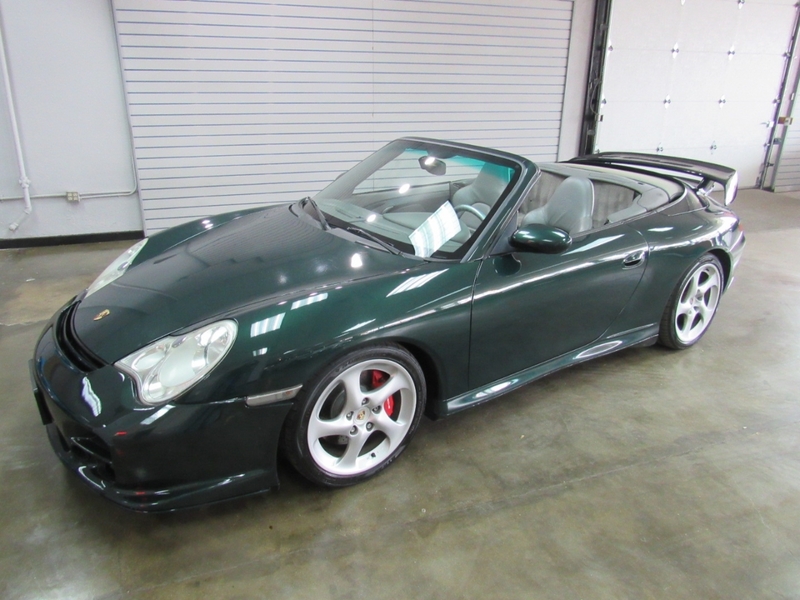 Used 2004 Porsche 911 Carrera Cabriolet for Sale in Denver CO 80220 Weisco Motorcars, LTD.
Full Custom 2004 Porsche 911 C4S Convertible with only 84k miles. This Porsche looks so good in person with custom GT3 front bumper, turbo rear bumper, rear wing, color matched hard top, turbo wheels, and sounds good with the upgraded exhaust. Done in Dark green over gray leather and custom silver trim on the inside make this car stand out over others. The body and paint are in very nice shape with no chips in the paint and the inside is also very clean with very little wear on the seats plus has not been smoked in. Call Weisco Motorcars for more info or to set up a time to stop by for a test drive of this Porsche 911 C4S Cab as it will not last long. Message: Thought you might be interested in this 2004 Porsche 911.